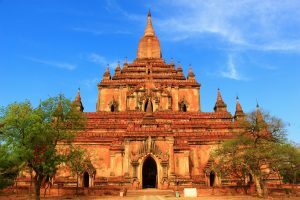 Ananda Temple is one of four surviving temples left in Bagan, It was damaged badly in the earthquake in 1975 but has been successfully restored and well maintained by frequent painting and whitewashing. 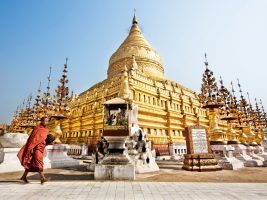 The impressive temple itself also has been called the “Westminster Abbey of Burma” and “veritable museum of stones”. 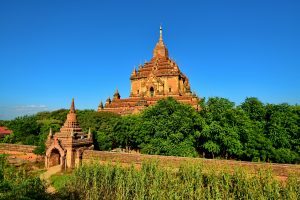 Today Ananda Temple is recognized as the best preserved and most revered site of Bagan temples. 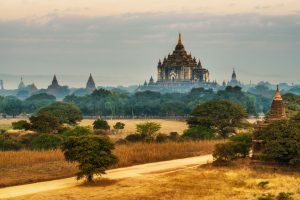 Location: South-east of Tharabar Gate in Old Bagan.